We all know how difficult it can be to get rid of tough stains in carpets, so it’s lucky you’ve got Apple Clean to rely on for all your specialist cleaning requirements. However, other parts of the world seem to be sick and tired of the issues associated with cleaning carpets and have decided to seek out other kinds of flooring material. Here are some of the coolest, yet most bizarre alternatives to carpet you might come across in the future. Bamboo isn’t really that bizarre, as it’s used all over the world and appreciated for its unique durability. 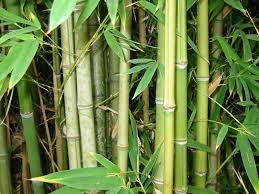 Bamboo is a type of grass, so it actually grows back over time after sustaining damage or getting cut. With bamboo wood, the process of growing can take many years, so it has naturally strong resistance to moisture and is recommended for any bathroom or kitchen environment. It might sound weird but paper is actually an excellent type of flooring when manufactured and installed correctly. In most cases, strips of paper are woven to create a tough and hardwearing type of flooring. Not only is it durable and stronger than you’d think, it’s also a great choice if you’re considering the environment, as you can recycle your old paper flooring once you’re done with it. Jute is quite soft and not as strong as other kinds of flooring, so it’s probably not the best option if you’re going to be walking all over it. Jute is grown in parts of India and then twisted to create yarn after being dried in the sun. Seagrass flooring is naturally stain resistant thanks to the way it is made. It is harvested in China and twisted into a sturdy yarn. The only issue with it is that it can’t cope particularly well with spillages, so they have to be dealt with as soon as in comes into contact with large quantities of water. Cork is the flooring alternative everyone raves about. It’s eco-friendly, washable, dust and allergen resistant, easy to clean, an effective insulator and an attractive looking fabric. There are a wide range of colours to choose from on the market, so there’s plenty of option with regards to style. In addition, cork trees don’t have to be cut down to produce it, making it a great alternative for someone who cares a lot about the environment.